The Modern Alternative was privileged to get a good clear view of the Bloodstock début of The King Is Blind this past weekend. A video of the set opener, “Mors Somnis” can be seen further down the page. This was shot spontaneously with a regular camera and, albeit a little shaky, the raw footage gives an insight into the performance, without any visual or audio retouching. The band feature current and ex-members from a number of the most notable metal bands from around Essex and East Anglia, with a great many years of experience between them. 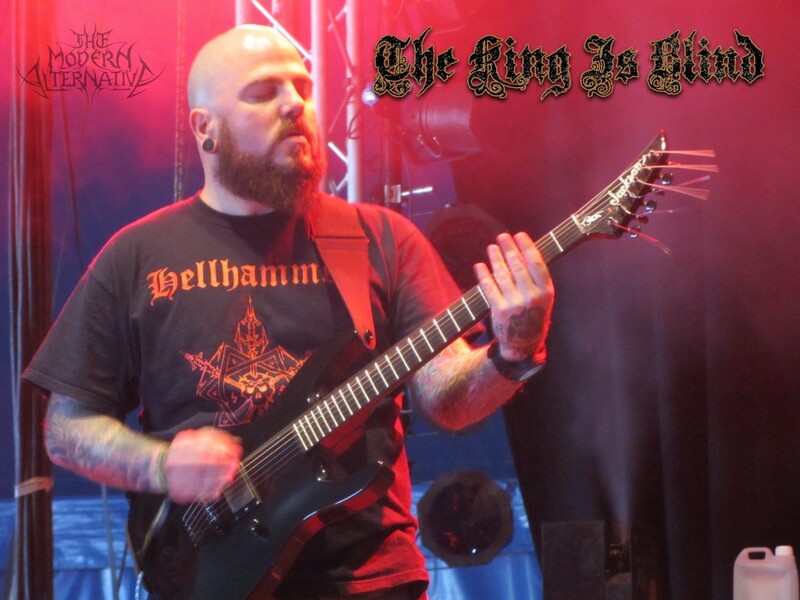 The debut EP from The King Is Blind, “The Deficiencies Of Man” will be released by Mordgrimm on 1st of September and is destined to be the talk of many metal fans, our prediction is that they are heading for greatness! A taster of the EP is currently available to stream here. This entry was posted in Artist Focus, Bands, Regional Focus and tagged 2014, Bloodstock Open Air, East Anglia, Essex, Mordgrimm, Mors Somnis, Sophie Lancaster Stage, The Deficiencies Of Man, The King Is Blind, TMA Recommends..., Video by Alex. Bookmark the permalink.